Brief History : Both songs were recorded June 19th, 1967 at MGM Studios, Culver City. 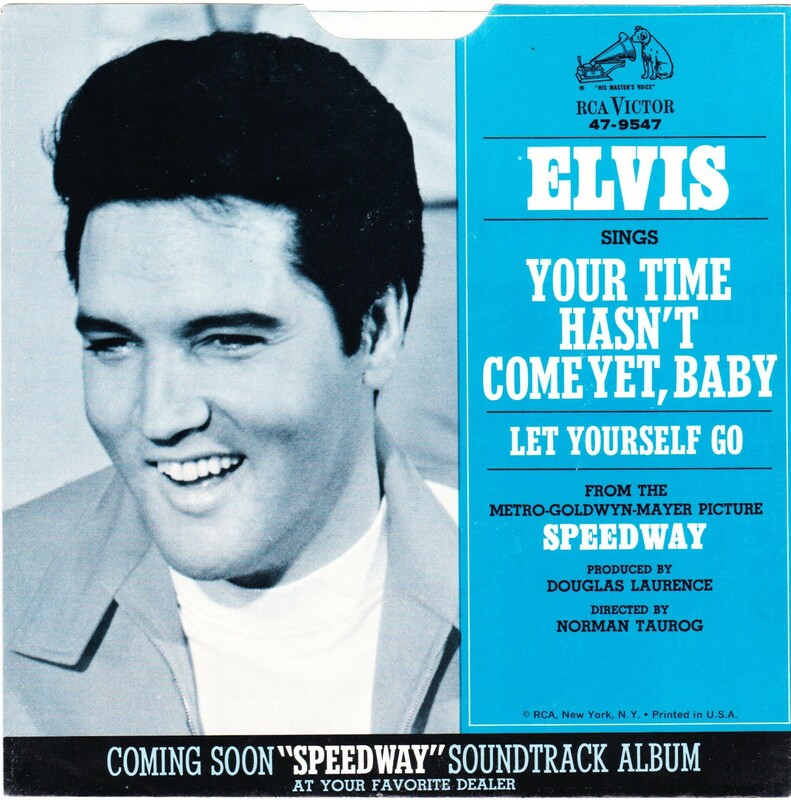 Both songs came from the film "Speedway". 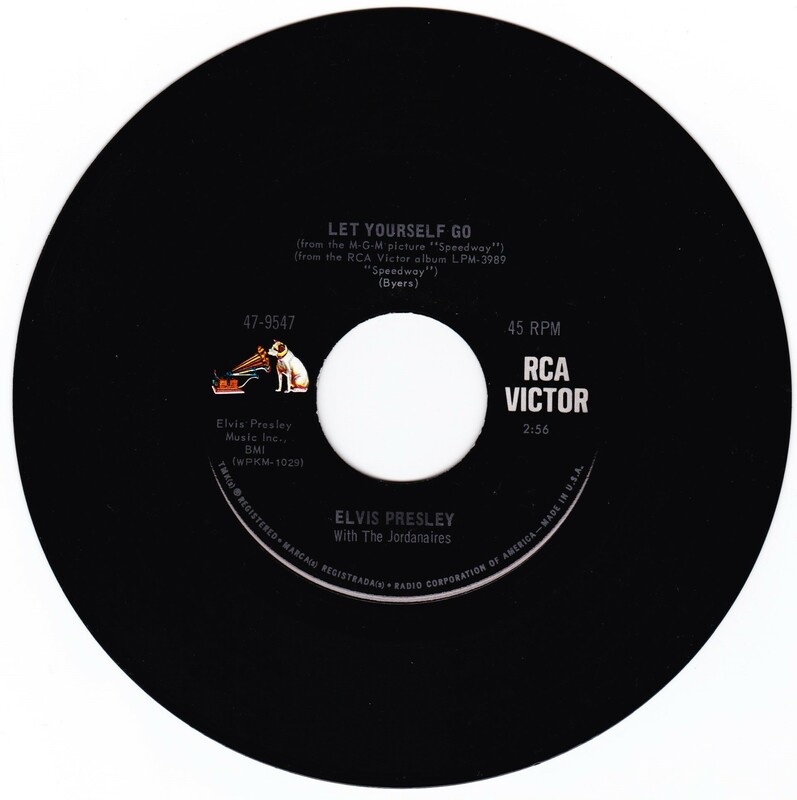 The "Let Yourself Go" version from the 68' Comeback Special was a much meaner and stronger vocal piece. 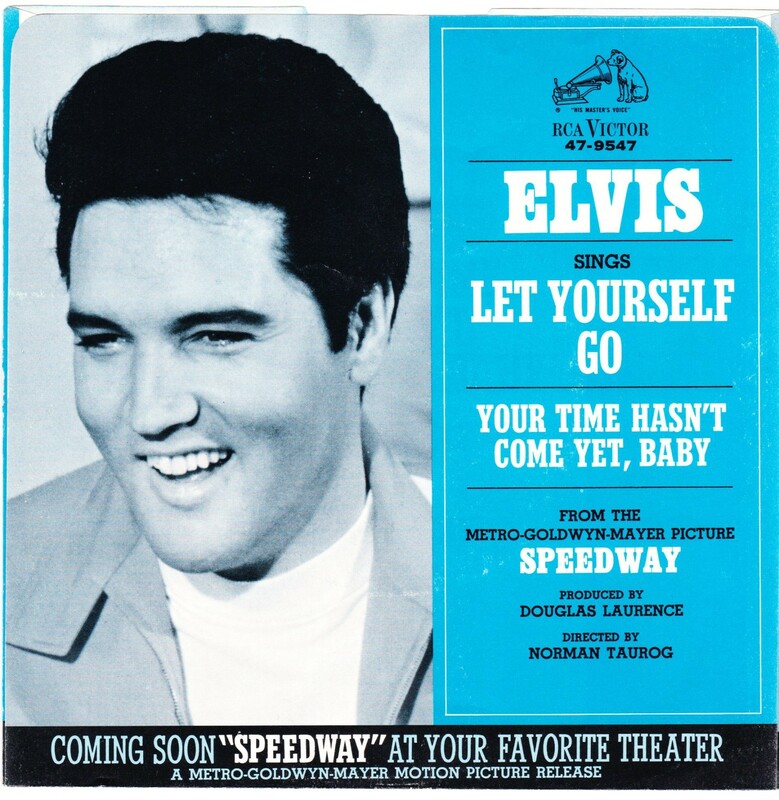 It showed how Elvis could take an average song & turn it into something more than just another number. Matrix Number Side 2 : WP - KM 1023 - 4S A3 (Machine Stamped) *NOTE* Coming Soon "Speedway" at your favourite theater sleeve.